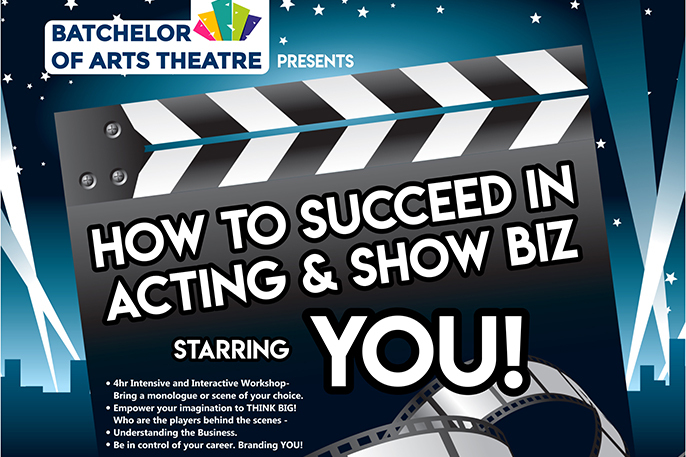 4hr Intensive and Interactive Workshop- Bring a monologue or scene of your choice. Empower your imagination to THINK BIG! Who are the players behind the scenes -Understanding the Business. Be in control of your career. Branding YOU! Judd Batchelor, is an experienced acting coach, published writer, drama facilitator, who motivates you to be your best, with industry experience for over 30 years. She trained as an actress in London and New York. The actors Judd has trained, have gone on to work in TV, film & theatre such as Netflix Original-Derek, Doctor Who, Holby City, Youngers, Dads Army (movie) Attack the Block (movie), The Bill, Call the Midwife, Sherlock, Hollyoaks, Kingsman the Golden Circle (movie), Amadeus (National Theatre) Don Juan in Soho (Wynhams Theatre) and many more. Her past work experience in the industry has included acting coach at Identity School of Acting when it was first launched, resident acting coach/drama teacher for Hoxton Hall Theatre & Hoxton Street Casting (Agency), she also worked as an administrator for Warner Brothers head office UK. 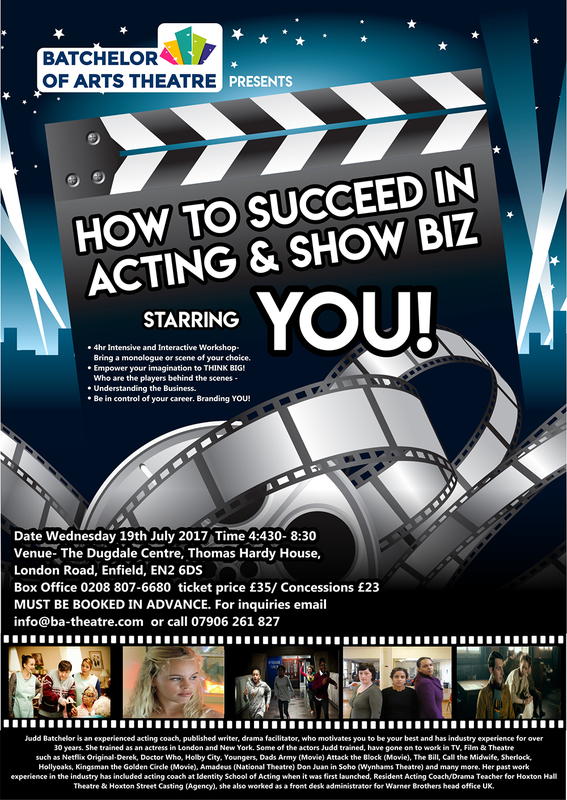 Info: How to Succeed in Showbiz is at the The Dugdale Centre, Thomas Hardy House, London Road, Enfield, EN2 6D on 19 July 2017 from 4:430- 8:30pm. To book call 0208 807-6680 or email info@ba-theatre.com or call 07906 261 827 for enquiries / Tickets- £35 / £23 concessions MUST BE BOOKED IN ADVANCE.